Achievement unlocked! 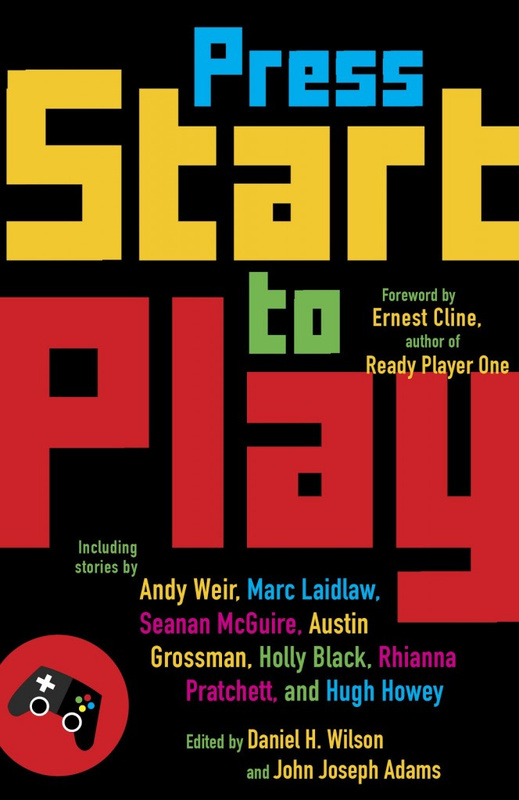 In the spirit of Ernest Cline’s Ready Player One, here are twenty-six works of fiction that put video games - and the people who play them - in the spotlight. Whether these authors are tackling the humble pixelated coin-op arcade games of the 70s and 80s, or the vivid, immersive form of entertainment that abounds today, you’ll never look at phrases like “save point,” “first-person shooter,” “dungeon crawl,” “pwned,” or “kill screen,” in quite the same way again. A mostly-original anthology of stories about and inspired by video games, edited by John Joseph Adams with Daniel H. Wilson, for Vintage.